Cunkou and san cun pulse readings show yang is increasing. Pulse is active on the yang meridians of right hand and left foot. Treatment on the right arm is treatment of yang meridian of yin side: yang in yin, treatment of Fu organs. Treatment of the left leg is treatment of yang meridian of the yang side, yang in yang, treatment of skin diseases. Cunkou and san cun pulse readings show yang is decreasing. Pulse is active on the yang meridians of left hand and right foot. Treatment of the left arm is treatment of yang meridian of the yang side: yang in yang, treatment of skin diseases. Cunkou and san cun pulse readings show yin is increasing. Pulse is active on the yin meridians of right hand and left foot. Treatment of the right arm is a treatment of yin meridian of the yin side: yin in yin, treatment of Zhang organs. Treatment of the left leg is the treatment of yin meridian of the yang side, yin in yang, treatment of muscles and bones. Cunkou and san cun pulse readings show yin is decreasing. 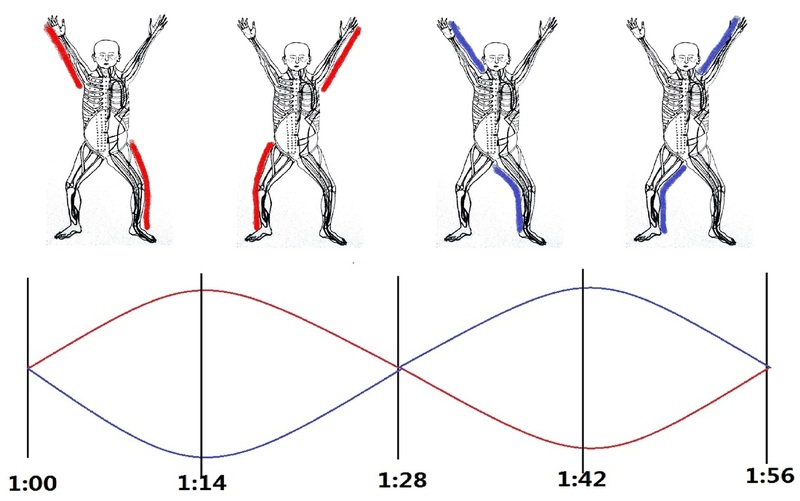 Pulse is active on the yin meridians of left arm and right foot. Treatment of the left arm is a treatment of yin meridian of the yang side: yin in yang, treatment of muscles and bones.